Little known, self styled Evangelist-turned-politician K.A. Paul’s Praja Shanti party has fielded at least 19 candidates whose names resemble the YSR Congress’s candidates, an act meant to ‘confuse’ voters. The idea of dummy candidates is from K A Paul to defeat everybody as he claims he is the only son of god and he rules the world in near future. Let imagine, if you are a voter in the Razole assembly constituency of Andhra Pradesh. You want to vote for the candidate Rajeswara Rao. You enter the poll booth, and there are two Rajeswara Raos. Both their last names are Bonthu. You check their party symbols. One has the ceiling fan, while the other has the rotor blades of a helicopter. Which Rajeswara Rao did you want to vote for? In many constituencies of Andhra Pradesh, voters may actually face this dilemma. The Praja Shanthi Party (PSP), a little-known party established by evangelist-turned-politician K.A. Paul, has fielded at least 19 candidates whose names are very similar to those of the YSR Congress party. Paul, once dubbed the “world’s most popular evangelist”, is an eccentric pastor who has claimed – among other things – that he negotiated with Libyan dictator Muammar Gaddafi to accept the US’s demands during the civil war. He claims to have worked as a spiritual advisor to other dictators such as Saddam Hussein, Slobodan Milosevic and Charles Taylor. Though his party was established in 2008, it has largely been inactive. In fact, Paul has taken a more proactive approach to American politics, endorsing Barack Obama in 2008 and Donald Trump in 2016. Based as he was in Houston, Paul endorsed both the men because of their opposition to the Iraq war. In India, he last made national headlines in 2012, when he was arrested for conspiring to murder a man accused in his brother’s murder. At the time, he had accused Y.S. Jaganmohan Reddy of conspiring to send him to jail. He has since obtained a stay order in the case. Now, with the state elections in Andhra Pradesh predicted to have a close finish, Paul has decided to jump into the fray. However, his party’s gimmicks have resulted in it being dubbed as the ruling-Telugu Desam Party’s (TDP) “dummy”. Critics claim that his only goal is to “confuse” voters and chip away at the YSR Congress party’s votes. 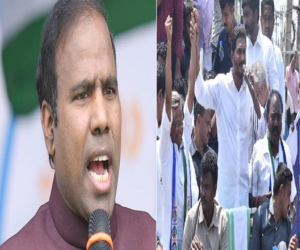 Apart from fielding candidates whose names are similar to those contesting on the main opposition party’s ticket, Paul’s party logo and colours also mirror the YSR Congress party. Perhaps as a token gesture to his party’s election symbol, Paul’s manifesto says that the party will provide air ambulance services via helicopter. 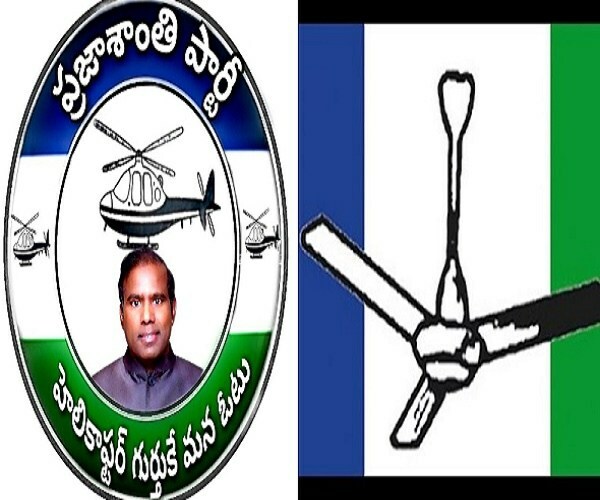 Meanwhile, an enraged YSR Congress Party has shot off a complaint to the Election Commission, asking it to take action against Paul’s party and also cancelling the ‘helicopter’ symbol allotted to it. The poll panel hasn’t responded yet. But is the PSP really nothing but a “dummy party” meant to confuse voters? Let’s take a closer look. A telling sign that the PSP could have a secret pact with the TDP is that just seven of the 19 dummy candidates are from the Rayalseema region, where Jagan holds sway. In the 2014 elections, the YSR Congress party sealed a majority of the seats here and it is only expected to grow stronger. The only outlier was the Anantapur district, where the TDP was victorious in 10 of the 12 seats. Paul’s PSP has fielded four “dummy candidates” in this district, three in constituencies where the victory margins between the TDP and the YSR Congress in 2014 were less than 2,000 votes. 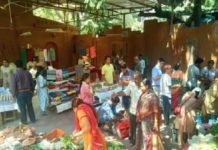 The TDP is expected to have a tough job on its hands in Anantapur, where it is facing a backlash after failing to deliver the special status promised to the state during bifurcation. 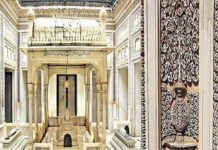 The PSP has fielded four other “dummy candidates” in the Prakasam district, where the YSR Congress performed marginally better than the TDP in 2014. Though the margins were not so close here, the ruling party is battling anti-incumbency. The TDP will also have to combat a splintering of its vote because of two developments: its decision to leave the NDA and actor-politician Pawan Kalyan’s decision to contest the election in an alliance with the BSP and Left parties. 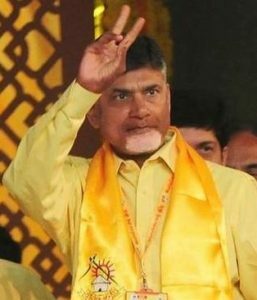 Pawan Kalyan’s support and the ‘Modi wave’ were said to have played a crucial role in consolidating a victory for Naidu. The troika of anti-incumbency, Pawan Kalyan and the BJP’s solo fight will surely make the margins between the TDP and the YSR Congress very slender. In 2014, even without having to battle any of these factors, the TDP earned just 1.7% more votes than the YSR Congress Party (though it contested 15 seats fewer). 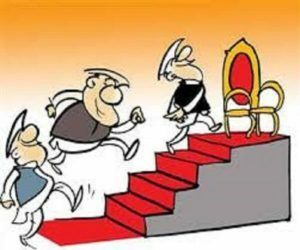 In such a scenario, it not unthinkable that “dummy candidates” who can subvert even 1,000 votes may play a crucial role in swinging fortunes. 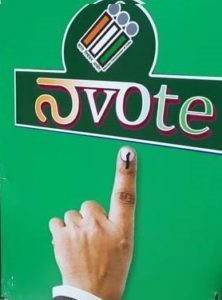 In the 2018 Telangana assembly elections, the Telangana Rashtra Samithi blamed the defeat of some of its candidates on confusion between the party’s “car” symbol and the “truck” symbol used by the Samajwadi Forward Bloc, a little-known party. The party has successfully lobbied to get the truck and iron box symbols removed from the list of free symbols for the Lok Sabha polls. This is a tactic that is not always successful, as former Chhattisgarh chief minister Ajot Jogi found out during the 2014 Lok Sabha elections. Jogi was accused of foisting 10 “dummy candidates” with the same name as his BJP rival – Chandu Lal Sahu. Though the dummy candidates did eat into the real Chandu Lal’s votes, it was not enough for Jogi to win. Next articleWhy Historic ‘Musi River’ Turns A Dark Frothing Slurry In Hyderabad? 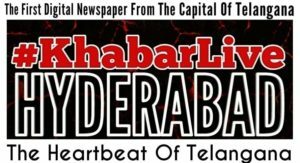 Hyderabad Scientist Exposes ‘Fake Journals’ In A Sting Job!